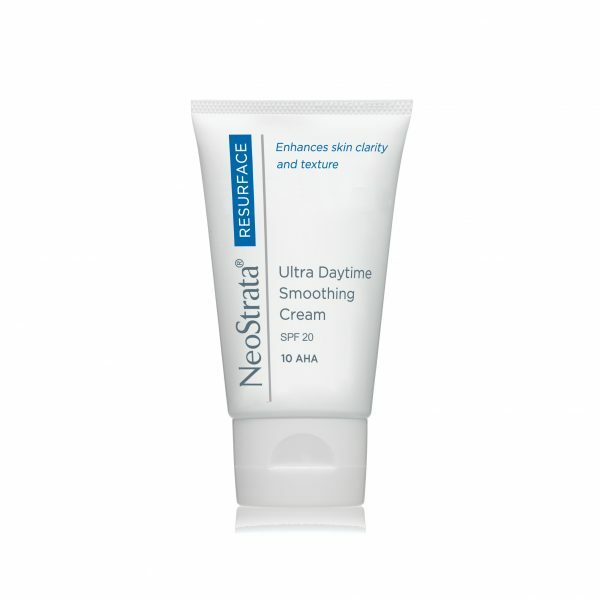 NeoStrata Ultra Daytime Smoothing Cream SPF20 is the ideal daytime exfoliating moisturiser helps to diminish the appearance of fine lines and wrinkles. 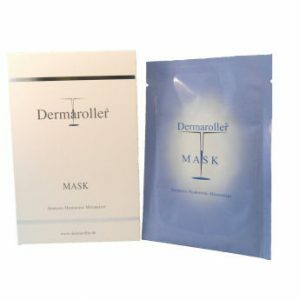 It contains three potent antioxidants, including MMP inhibitor Lactobionic Acid plus broad spectrum sunscreen, to help preserve collagen and maximise protection against oxidative damage. Alpha Hydroxy Acids (AHAs) exfoliate to visibly smooth skin. This concentration of AHAs is ideal even for new users. Formulated with our amphoteric system to provide gentle absorption. 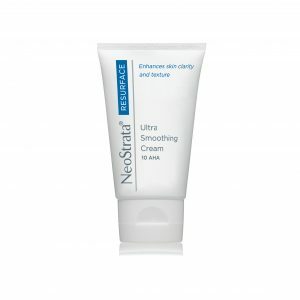 AHA exfoliates to reduce fine lines and wrinkles. It contains three potent antioxidants, including MMP inhibitor Lactobionic Acid plus broad spectrum sunscreen, to help preserve collagen and maximise protection against oxidative damage. Alpha Hydroxy Acids (AHAs) exfoliate to visibly smooth skin. Ethylhexyl Methoxycinnamate (Octinoxate) 6.0%, Titanium Dioxide 4.0%. Inactive: Aqua (Water), Glycolic Acid, C12-15 Alkyl Benzoate, Isocetyl Stearate, Glycerin, Glyceryl Stearate, Octyldodecyl Neopentanoate, Hydrogenated Polydecene, PEG-100 Stearate, Ammonium Hydroxide, Citric Acid, Dimethicone, Propylene Glycol, Lactobionic Acid, Cetearyl Alcohol, Arginine, Tocopheryl (Vitamin E) Acetate, Vitis Vinifera (Grape) Seed Extract, Aloe Barbadensis Leaf Extract, Chamomilla Recutita (Matricaria) Flower Extract, Sambucus Nigra Flower Extract, Rosa Centifolia Flower Extract, Calendula Officinalis Flower Extract, Palmitic Acid, Stearic Acid, Myristic Acid, Caprylyl Glycol, Disoidum EDTA, Methicone, Alumina, Polyhydroxystearic Acid, Polysorbate 20, Xanthan Gum, Hydroxyethylcellulose, Chlorphenesin, Phenoxyethanol.